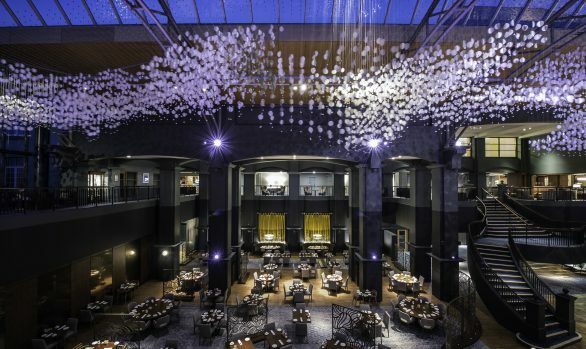 The Four Seasons Hotel in Moscow has undergone an extensive refurbishment of the centrally located hotel next to Red Square. 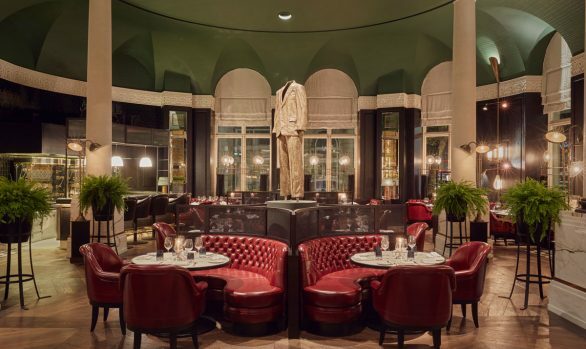 The refurbishment was a mammoth task in both size and complexity of building and architectural detail along with historic consideration to the original Hotel Moskva from the early 1930’s. 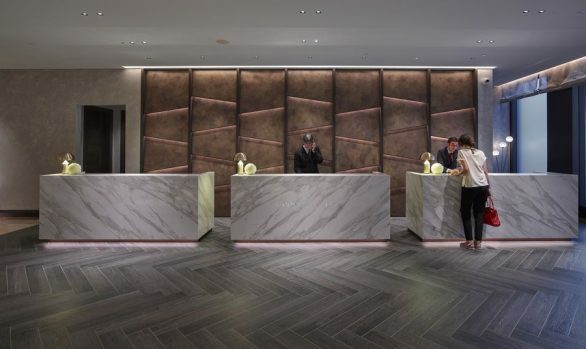 dpa worked closely with interior designers Richmond International on all public areas including two restaurants and a hip club bar looking out onto Revolution Square and Manege Square, Grand Ballroom and Function Suite and large Spa as well guest rooms and suites. The design evolved over several years and is still fresh and en vogue. dpa’s design supported the grand decorative lighting elements in all areas and accents and draws interest to notable interior architectural details. The lighting provides drama, depth and fluidity to the various interconnecting spaces with carefully placed and concealed lighting that draws on the various interior details such as illuminated balustrades glowing and glistening in the double height space of the reception lobby and accented columns providing connectivity to the two floors. All artwork is enhanced with thoughtful lighting which is a beautifully curated collection by Peter Leonard from Local Russian artists. Even though the scheme was designed several years ago, dpa undertook a review exercise to replace selected specifications with LED lamping to provide a more sustainable design for both architectural and decorative lighting. The outcome being as considered and as intended. The hotel opened in November 2014 with the Spa is due to open in early 2015.